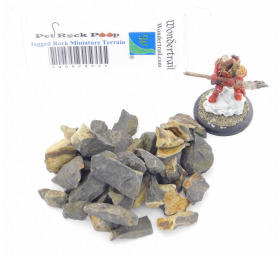 Pet Rock Poop jagged rocks are perfect for all scales of miniatures and terrain. 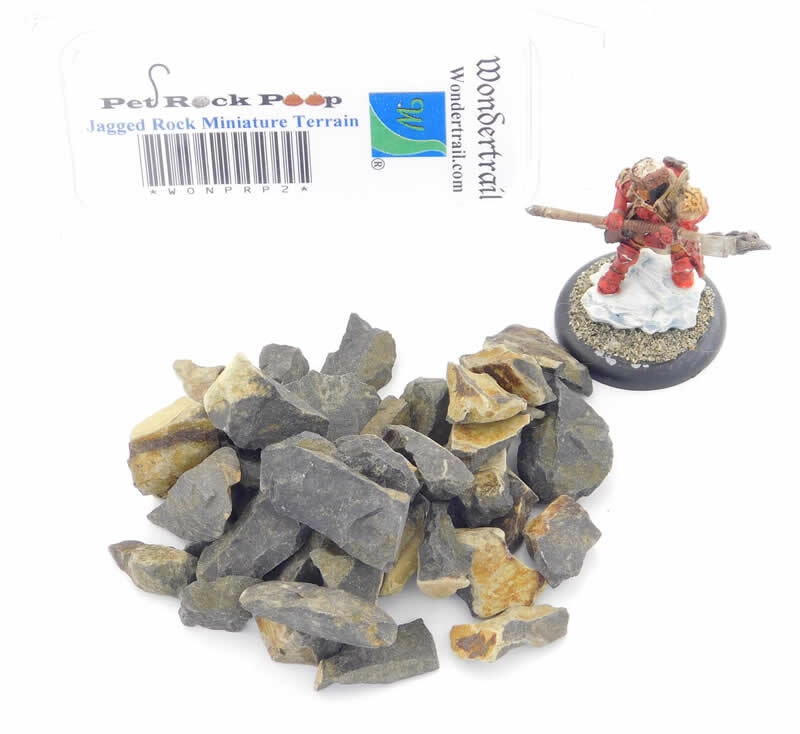 Depending on your scale of miniature, these jagged rocks will add a realistic backdrop to your terrain, create a wall or even rough jagged paths. These jagged rocks average approximately .5 inch long of various shapes and can be glued with your favorite glue, even though we recommend epoxy. 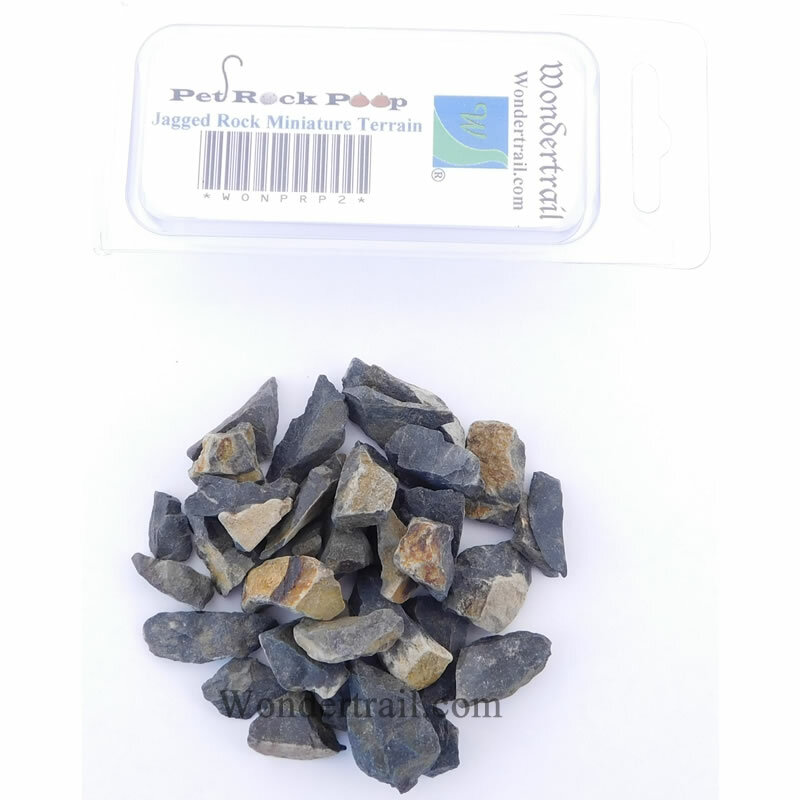 Please note Pet Rock Poop are real rocks that have been cleaned, sanitized and packaged for your convenience. They could create a choking hazard so please keep out of reach of kids that like to put items in their mouth. Pet Rock Poop is packaged by volume, not by weight or quantity. Package measures 3 x 1.4 x 1 inches, therefore quantity in picture is estimated.